In Europe, the segment of small economic cars is one of the most coveted, particularly in France. Among these affordable cars, we find for several years that the Nissan Note does not impose leaves by tenors of French origin, which are rain or shine, in this niche extremely popular cars. 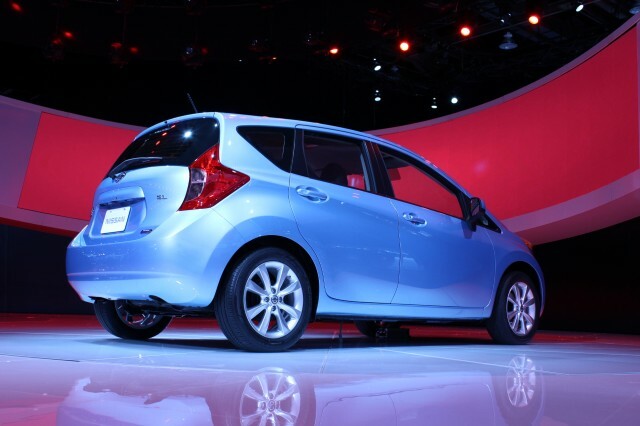 Last week, the International Auto Show in Detroit, we was unveiled Nissan Versa Note in major North American premiere. 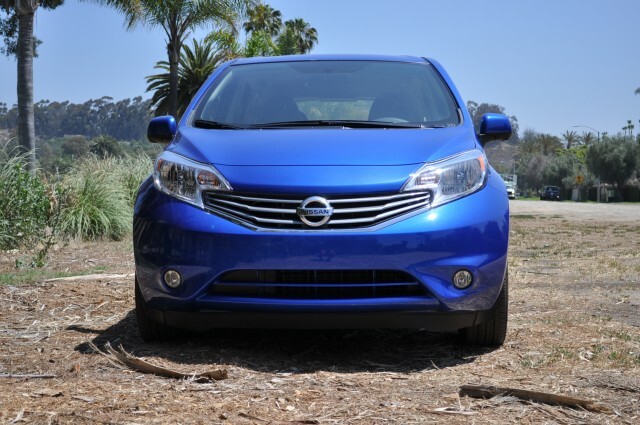 This car is none other than the European Nissan Note, henceforth answering the standards of North America. The latter, is presented as the new five-door hatchback version of the range, which joins the already sold a sedan. Aesthetically, it makes us think of the Ford Fiesta, Honda Fit and Mazda2. 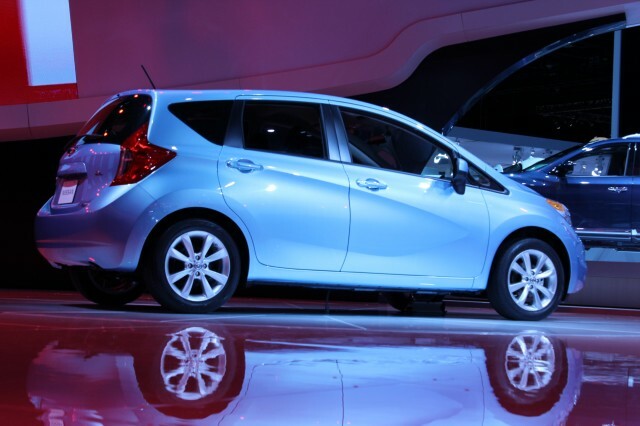 Nissan Versa Note will be available in versions S, SV and SL. Despite its small size, it can accommodate up to five passengers. Trendy, the car has the optional functionality ConnectMS with Nissan navigation system, composition assistant hands-free text messages, reverse camera and display screen the perimeter, has the exclusive Nissan / Infiniti brand as well as in class . Among its main features, we find a loading space with adjustable floor. Thus lifting the floor panel, we discover new storage space security, while in the lowering, we are entitled to a little more depth, to place the highest and bulky items. The engine front-wheel drive, is a four-cylinder 1.6-liter DOHC that develops a power of 109 horsepower with a torque of 107 lb-ft. This engine has a fuel injection with dual control of the continuously variable distribution valve (CVTC). All versions offer input into the game, a five-speed manual gearbox or the very latest generation of CVT Xtronic. 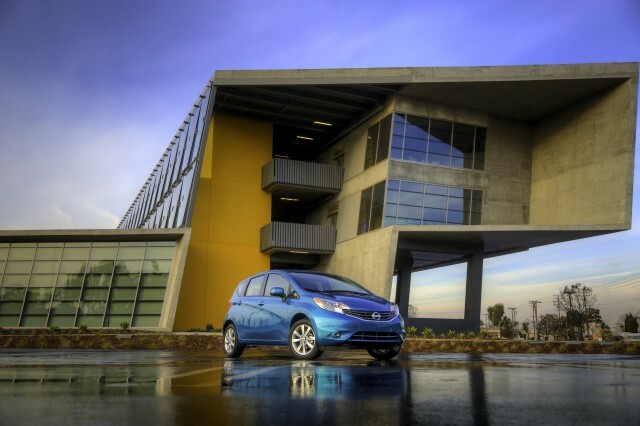 Nissan Versa Note will be found at Canadian dealers of the brand, commencing in June 2013.